Note: On December 11, 2016, I talked with authors Eric Sneathen and Lauren Levin over Google Docs. Eric was in a café in the Bay; Lauren was also in the Bay, in bed with her daughter running in and out of the room; and I was sitting at my dining table in Philadelphia. 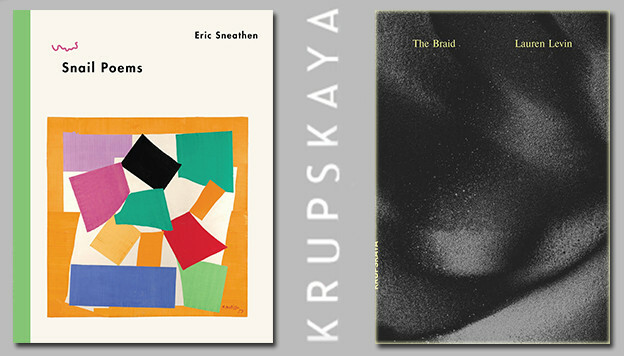 Eric and Lauren are the two newest authors of the small press Krupskaya, which has published their books Snail Poems and The Braid (respectively). Both of these books were their debuts. 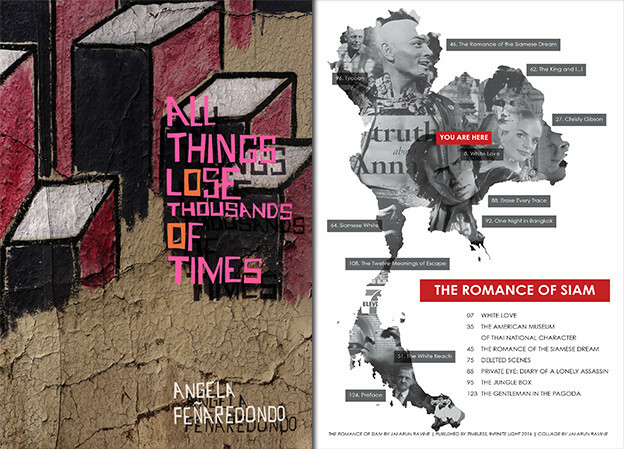 Images above courtesy of the authors. Editorial note: The following is a transcript of a conversation between two artist-poets on their recent publications. Jai Arun Ravine, director of the short film Tom/Trans/Thai and author of The Romance of Siam: a Pocket Guide as well as แล้ว and then entwine: lesson plans, poems, knots, specializes in genres of blended identity, gender, and race. Currently based in Philadelphia, they take the time to sit down and discuss the themes of orientalism, colonialism, and tourism prevalent in their work.